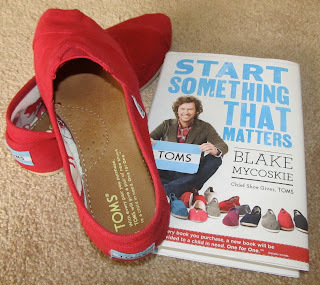 I was lucky enough to get to review Start Something That Matters by Blake Mykoskie, chief shoe giver of TOMS. It may seem that the book would have nothing to do with teaching and blogging, but there are actually quite a few connections. Read the full review and enter to win a copy of your own at Sub Hub. I love Sub Hub. That blog has come through for me many a time.